SpaceX's billionaire founder and CEO just published the plan, which he unveiled at a conference in Mexico in September 2016, in the journal New Space. Musk's commentary, titled "Making Humanity a Multi-Planetary Species," is available for free on New Space's website through July 5. The booster, with its 42 Raptors, will be the most powerful rocket in history, by far. It will be capable of launching 300 metric tons (330 tons) to low Earth orbit (LEO), or 550 metric tons (600 tons) in an expendable variant, Musk said. For comparison, NASA's famous Saturn V moon rocket, the current record holder, could loft "just" 135 metric tons (150 tons). ITS rockets will launch the spaceships to Earth orbit, then come back down for a pinpoint landing about 20 minutes later. And "pinpoint" is not hyperbole: "With the addition of maneuvering thrusters, we think we can actually put the booster right back on the launch stand," Musk wrote in his New Space paper, citing SpaceX's increasingly precise Falcon 9 first-stage landings. "There is a huge amount of risk. It is going to cost a lot," Musk wrote. "There is a good chance we will not succeed, but we are going to do our best and try to make as much progress as possible." And SpaceX has a history of overcoming long odds. When Musk founded the company in 2002, he wrote, "I thought we had maybe a 10 percent chance of doing anything — of even getting a rocket to orbit, let alone getting beyond that and taking Mars seriously." Hundreds of millions of years ago there was life in the ocean, but no life on land. Today, there is life on Earth and very little life in space, just a few astronauts, plants and animals on the International Space Station and a few bacteria here and there on spacecraft. We can change that. In the 1970's Princeton physicist Gerard O'Neill showed that we can build giant spacecraft in free space (not on a planet or moon) and live in them. These space settlements could be wonderful places to live; about the size of a California beach town and endowed with weightless recreation, fantastic views, freedom, elbow-room in spades, and great wealth. In time, we may see millions of free space habitats in our solar system alone. Unlike earlier colonization events, no people will be oppressed and no ecosystems destroyed for the simple reason that there aren't any out there. Space settlement may become as important as ocean-based Life's colonization of land half a billion years ago, perhaps even more so. One of the major environmental concerns of our time is the increasing consumption of Earth's resources to sustain our way of life. As more and more nations make the climb up from agricultural to industrial nations, their standard of life will improve, which will mean that more and more people will be competing for the same resources. While NASA spinoffs and other inventions can allow us to be more thrifty with Earth's resources, we nevertheless must come to grips with the problem that humanity is currently limited to one planet. Space colonies could be the answer to this problem, if we can solve the medical problems posed by microgravity (also called weightlessness) and the high levels of radiation to which the astronauts would be exposed after leaving the protection of the Earth's atmosphere. The colonists would mine the Moon and the minor planets and build beamed power satellites that would supplement or even replace power plants on the Earth. The colonists could also take advantage of the plentiful raw materials, unlimited solar power, vaccuum, and microgravity in other ways to create products that we cannot while inside the cocoon of Earth's atmosphere and gravity. In addition to potentially replacing our current Earth-polluting industries, these colonies may also help our environment in other ways. Since the colonists would inhabit completely isolated manmade environments, they would refine our knowledge of the Earth's ecology. This vision, which was purely science fiction for years and years, caught the imagination of the public in the Seventies, leading to the establishment of the organization known today as the National Space Society. You may also find useful resources in our pages on theInternational Space Station, Asteroids, Comets, Meteors, and Near-Earth Objects, The Future of Space Exploration, and Nuclear Power in Outer Space. In the future humans may live and work on the moon for weeks or even months. Energy and power will make it possible to travel to and live on the lunar surface. Humans must choose the appropriate energy source and technological means to produce that power. In this unit of 5E (Engage, Explore, Explain, Elaborate/Extend, Evaluate) lessons, aligned to national education standards, students learn the differences between Earth and the moon; the limitations and constraints of living on the moon; and which type of energy sources would be suitable for a lunar habitat. At the conclusion of the unit, students design and build two- and three-dimensional models of a lunar colony and present their design to their classmates. Student sheets and rubrics are included. Sources I have followed for years have not only stated that there are already (formerly) Secret Space Programs beyond Earth, but that there is already a massive civilization on the back side of the Moon. Other sources have also indicated that there is already a colony on Mars as well. I fully expect that these truths, and MANY, MANY more, will be forthcoming in the not-too-distant future. LOTS happening right now. There already exists technologies to help Asgardia achieve its goals. The QUESTION however, is just how connected the upper leadership of Asgardia is with the governments and sources of those technologies. In the early 20th century, Austro-Hungarian rocket pioneer Herman Potočnik (also called Hermann Noordung) designed an early space habitat. His 1928 book "The Problem of Space Travel" describes a 100-foot (30 meters) ring-shaped station that would rotate to generate artificial gravity. A large parabolic mirror would focus sunlight on water pipes to heat them and generate steam power. In a 1974 "Physics Today" article, Gerard K. O'Neill described a habitat in the form of two rotating 20-mile-long (32 kilometers) cylinders. Giant windows in the cylinders would allow sunlight to enter, reflected off of long, petal-shaped mirrors. Rocketing materials from Earth to build the cylinders would not be cost-effective, so O’Neill proposed building with lunar materials launched into space by an electromagnetic mass driver. An O’Neill-type colony would have 500 square miles (1,295 km) of living space and could support up to several million people. In 1975, a Stanford University group designed a 10,000-person space habitat in the form of a torus. The station rotates once per minute to generate gravity. Lunar rubble coats the outer surface of the ring to provide radiation shielding. 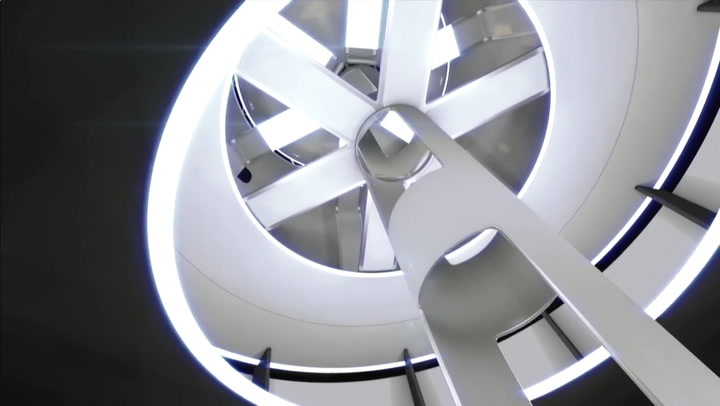 Space elevators carry visitors from a docking hub at the center to the outer habitat ring. In 1929, J.D. Bernal proposed a spherical habitat 9.9 miles (16 km) in diameter that would house up to 30,000 people. In 1975, Gerard K. O’Neill refined the concept, proposing a sphere 1,640 feet (500 m) in diameter, rotating to provide Earth-type gravity at the equator. 10,000 people could live in this type of habitat. A larger version, 1.1 miles across (1.8 km), could house 140,000 space citizens. I believe that Asgardia have many works to do right now but making a School or University for teaching people all knowledge about space and solar system would be great because not all people are aware about space and it's advantages. The main thing is that this will help Asgardia increase population cause all people don't see space like Astronauts sees. Creating a School or University will teach people about space and this will help Asgardia working fast because people will support Asgardia. If you are thinking that that's impossible than you are wrong. Creating a school or university will be simple so, Asgardia should create Digital university because not all people can study at one institute in only one specific region and that's why i think that Asgardia should create an Virtual university. Nowadays, people are learning from different websites which provides knowledge, some sites ask for money and some websites just provides free courses. Asgardia could offer some courses for free and some at a price. There are many advantages of virtual university like Students can access course from anywhere in the world, can Study at anytime, discuss with Students all over the world and can have feedbacks from every place in the World. At last, having an Application or Website for space education would be good as a development of asgardia. please comment down below for improvement and suggestions. Hello how are you . Apology I had written in my native language. I wish that I added you as a friend, even vote for you. I wish that I added you as a friend, even vote for you. What you refer to cases of sightings of intelligentI am very believer in that subject. You have studied about the blood types of the human and what the difference is.believe me you would be surprised finding differences in positives and negatives. Thanks for writing but I can't understand. What are those Unidentified Flying Objects (UFO) we saw on some footage? 1 : Highly intelligent aliens: We were seeing movies like predator in which artist showed that how intelligent the aliens are and that can be true, why? because we are not the only living being have existence in this universe there can be a lot and we can say that because we saw more than thousand living beings on our own earth and we are the intelligent one on earth, so there are possibility that there can be super intelligent species living on other planets and finding ground as their new planet. 2 : The second possibility is us, yes i said us because our evolving speed is getting faster every year and we can say that by just asking our elder family members that what they had in their childhood and you will have the answer. we are constantly sending satellites to space and now human settlement in space and there are possibility that there will be some time where we will have technology which will allow us to teleport, create 3d environment or travel through time. Maybe we will get that technology after settling on other planets or researching other planets because we have knowledge of our earth but we didn't have that much knowledge of other outer space materials now so i guess that we will need different kind of fuel and metal which is not on earth. I can only guess these two things after seeing those ufo footage. This is the Black Knight satellite. If the rumours are true, and not a hoax. We have read many statements in which scientists described that how human evolved from apes to homo sapiens and in some recent reports some scientists stated that our ancestors were some aquatic animals not apes. I am just a student not a scientist but i thought about evolution of homo-sapiens. when i was in high school i used to think about how can we evolve from an ape to humans like it just seem fine in the picture. There were some movies which made me thought about some silly like what if apes weren't our ancestors and what if we were humans from the start, yeah, i know it sounds silly and different but it can be true because none of us are eyewitness of evolution of homo-sapiens. I think many of you saw Interstellar, its a Si-Fi movie in which earth is very polluted and NASA sends a team in deep space to find a suitable habitable planet for a fresh start of human life. I know its some sort of off track but here is the thing that what if we were humans from the start and our real ancestors found this planet suitable for living and they started life here or someone send them here for human settlement in this solar system and who knows the UFOs we saw in some videos are those people who send our ancestors and trying to contact us in some ways. I know this article/post sounds very different but none of us have any clue that where we are from cause we just saw us/humans evolving in movies, pictures and books the people who made them also learned from these movies, pictures and books. Every line in this article is written by me so please comment down for improving it . Thanks for having interest in this post. I think that we came first out of the water and lived later on land, because we are 95% water and are 99% ape. There is more to learn as we expand humanity's presence into the solar system: Was Mars once home to microbial life or is it today? Can it be a safe home for humans? What can the Red Planet teach us about our own planet's past, present and future? Building on the robotic legacy, the human exploration of Mars crosses three thresholds, each with increasing challenges as humans move farther from Earth: Earth Reliant, the Proving Ground, and Earth Independent. Earth Reliant exploration is focused on research aboard the International Space Station. The orbiting microgravity laboratory serves as a world-class test bed for the technologies and communications systems needed for human missions to deep space. Astronauts are learning about what it takes to live and work in space for long periods of time, increasing our understanding of how the body changes in space and how to protect astronaut health. We're also working with our commercial crew and cargo partners to provide access to low-Earth orbit and eventually stimulate new economic activity, allowing NASA to continue using the station while preparing for missions beyond. Next, we move into the Proving Ground, conducting a series of missions near the moon -- we call it "cislunar space" -- that will test the capabilities we will need to live and work at Mars. Astronauts on the space station are only hours away from Earth, but the proving ground is days away, a natural stepping stone to a Mars mission, which will be months away from home. The first of these missions will launch NASA's powerful new rocket, the Space Launch System, from NASA’s Kennedy Space Center in Florida. The mission will carry the Orion spacecraft (without astronauts) thousands of miles beyond the moon during an approximately three week mission (Watch Mission Animation Video). Next up, astronauts will climb into Orion for a similar mission, traveling farther than humans have ever traveled before. Also in the 2020s, we'll send astronauts on a yearlong mission into this deep space proving ground, verifying habitation and testing our readiness for Mars. Finally, we become Earth Independent , building on what we've learned on the space station and in deep space to send humans to low-Mars orbit in the early 2030s. This phase will also test the entry, descent and landing techniques needed to get to the Martian surface and study what's needed for in-situ resource utilization or "living off the land." NASA is already studying potential "Exploration Zones" on Mars that would offer compelling science research and provide resources our astronauts can use. Science missions are already in the Independent phase, with the next rover due in 2020. We will also conduct a round-trip robotic demonstration mission with sample return in the late 2020s. Mars is the next tangible frontier for human exploration, and it's an achievable goal. There are challenges to pioneering Mars, but we know they are solvable. We are well on our way to getting there, landing there, and living there. A RIPPLE of bright blue gas threads through this galaxy like a misshapen lake system. The foreground of this image is littered with nearby stars with their gleaming diffraction spikes. A keen eye can also spot a few other galaxies that, while masquerading as stars at first glance, reveal their true nature on closer inspection. The central galaxy streaked with color, IC 4870, was discovered by DeLisle Stewart in 1900 and is located approximately 28 million light-years away. It contains an active galactic nucleus: an extremely luminous central region so alight with radiation that it can outshine the rest of the galaxy put together. Active galaxies emit radiation across the complete electromagnetic spectrum, from radio waves to gamma rays, produced by the action of a central supermassive black hole that is devouring material getting too close to it. IC 4870 is also a Seyfert galaxy, a particular kind of active galaxy with characteristic emission lines. IC 4870 has been imaged by Hubble for several studies of nearby active galaxies. By using Hubble to explore the small-scale structures of active nuclei in nearby galaxies, astronomers can observe the traces of collisions and mergers, central galactic bars, nuclear starbursts, jets or outflows, and other interactions between a galactic nucleus and its surrounding environment. Images such as this can help astronomers understand more about the true nature of the galaxies we see throughout the cosmos. Welcome, Drik Baeyens and thanks for having interest in this post. What would be really cool is if an AI or supercomputer could make instantly a 3D environment of this picture of a galaxy, as if we would be there and we could fly true it. Those commercial delivery missions will be the first robotic steps back on the Moon, and NASA will follow the early missions with the first of two mid-sized lander demonstration missions planned to launch in 2022. These mid-size lander missions, which will be built through public/private partnerships, will be integral to the development of even larger crewed lunar missions. "This result is exciting because it shows that a common trait of most of the atmospheres in our solar system -- a warm stratosphere -- also can be found in exoplanet atmospheres," said Mark Marley, study co-author based at NASA's Ames Research Center in California's Silicon Valley. "We can now compare processes in exoplanet atmospheres with the same processes that happen under different sets of conditions in our own solar system." Reporting in the journal Nature, scientists used data from NASA's Hubble Space Telescope to study WASP-121b, a type of exoplanet called a "hot Jupiter." Its mass is 1.2 times that of Jupiter, and its radius is about 1.9 times Jupiter's -- making it puffier. But while Jupiter revolves around our sun once every 12 years, WASP-121b has an orbital period of just 1.3 days. This exoplanet is so close to its star that if it got any closer, the star's gravity would start ripping it apart. It also means that the top of the planet's atmosphere is heated to a blazing 4,600 degrees Fahrenheit (2,500 Celsius), hot enough to boil some metals. The WASP-121 system is estimated to be about 900 light years from Earth – a long way, but close by galactic standards. To study the stratosphere of WASP-121b, scientists analyzed how different molecules in the atmosphere react to particular wavelengths of light, using Hubble's capabilities for spectroscopy. Water vapor in the planet's atmosphere, for example, behaves in predictable ways in response to certain wavelengths of light, depending on the temperature of the water. Starlight is able to penetrate deep into a planet's atmosphere, where it raises the temperature of the gas there. This gas then radiates its heat into space as infrared light. However, if there is cooler water vapor at the top of the atmosphere, the water molecules will prevent certain wavelengths of this light from escaping to space. But if the water molecules at the top of the atmosphere have a higher temperature, they will glow at the same wavelengths. "The emission of light from water means the temperature is increasing with height," said Tiffany Kataria, study co-author based at NASA's Jet Propulsion Laboratory, Pasadena, California. "We're excited to explore at what longitudes this behavior persists with upcoming Hubble observations." In Earth's stratosphere, ozone gas traps ultraviolet radiation from the sun, which raises the temperature of this layer of atmosphere. Other solar system bodies have stratospheres, too; methane is responsible for heating in the stratospheres of Jupiter and Saturn's moon Titan, for example. In solar system planets, the change in temperature within a stratosphere is typically around 100 degrees Fahrenheit (about 56 degrees Celsius). On WASP-121b, the temperature in the stratosphere rises by 1,000 degrees (560 degrees Celsius). Scientists do not yet know what chemicals are causing the temperature increase in WASP-121b's atmosphere. Vanadium oxide and titanium oxide are candidates, as they are commonly seen in brown dwarfs, "failed stars" that have some commonalities with exoplanets. Such compounds are expected to be present only on the hottest of hot Jupiters, as high temperatures are needed to keep them in a gaseous state. "This super-hot exoplanet is going to be a benchmark for our atmospheric models, and it will be a great observational target moving into the Webb era," said Hannah Wakeford, study co-author who worked on this research while at NASA's Goddard Space Flight Center, Greenbelt, Maryland. The Hubble Space Telescope is a project of international cooperation between NASA and ESA (European Space Agency). NASA's Goddard Space Flight Center in Greenbelt, Maryland, manages the telescope. The Space Telescope Science Institute (STScI) in Baltimore, Maryland, conducts Hubble science operations. STScI is operated for NASA by the Association of Universities for Research in Astronomy, Inc., in Washington. Caltech manages JPL for NASA. For any star, it's possible to calculate the range of distances where orbiting planets could have liquid water on the surface. This is called the star's habitable zone. Astronomers have already located some habitable-zone planets, and research scientist Andrew Rushby, of NASA Ames Research Center, in Moffett Field, California, is studying ways to refine the search. Location alone isn't enough. "An alien would spot three planets in our solar system in the habitable zone [Earth, Mars and Venus]," Rushby said, "but we know that 67 percent of those planets are not very habitable." He recently developed a simplified model of Earth's carbon cycle and combined it with other tools to study which planets in the habitable zone would be the best targets to look at for life, considering probable tectonic activity and water cycles. He found that larger rocky planets are more likely than smaller ones to have surface temperatures where liquid water could exist, given the same amount of light from the star. Renyu Hu, of JPL, refined the search for habitable planets in a different way, looking for the signature of a rocky planet. Basic physics tells us that smaller planets must be rocky and larger ones gaseous, but for planets ranging from Earth-sized to about twice that radius, astronomers can't tell a large rocky planet from a small gaseous planet. Hu pioneered a method to detect surface minerals on bare-rock exoplanets and defined the atmospheric chemical signature of volcanic activity, which wouldn't occur on a gas planet. I guess condensation is important and also the spinning speed of the planet. Research scientist Morgan Cable of NASA's Jet Propulsion Laboratory in Pasadena, California, is looking within the solar system for locations that have the potential to support liquid water. Some of the icy moons around Saturn and Jupiter have oceans below the ice crust. These oceans were formed by tidal heating, that is, warming of the ice caused by friction between the surface ice and the core as a result of the gravitational interaction between the planet and the moon. "We thought Enceladus was just boring and cold until the Cassini mission discovered a liquid water subsurface ocean," said Cable. The water is spraying into space, and the Cassini mission found hints in the chemical composition of the spray that the ocean chemistry is affected by interactions between heated water and rocks at the seafloor. The Galileo and Voyager missions provided evidence that Europa also has a liquid water ocean under an icy crust. Observations revealed a jumbled terrain that could be the result of ice melting and reforming. As missions to these moons are being developed, scientists are using Earth as a testbed. Just as prototypes for NASA's Mars rovers made their trial runs on Earth's deserts, researchers are testing both hypotheses and technology on our oceans and extreme environments. Cable gave the example of satellite observations of Arctic and Antarctic ice fields, which are informing the planning for a Europa mission. The Earth observations help researchers find ways to date the origin of jumbled ice. "When we visit Europa, we want to go to very young places, where material from that ocean is being expressed on the surface," she said. "Anywhere like that, the chances of finding evidence of life goes up -- if they're there."